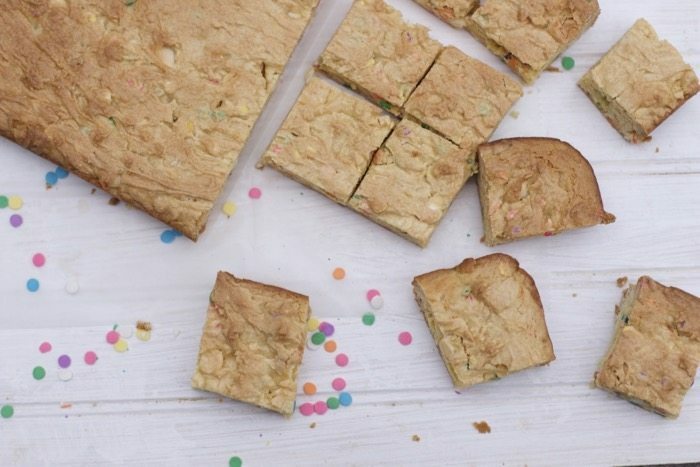 Did you know you can make blondies out of a cake mix? 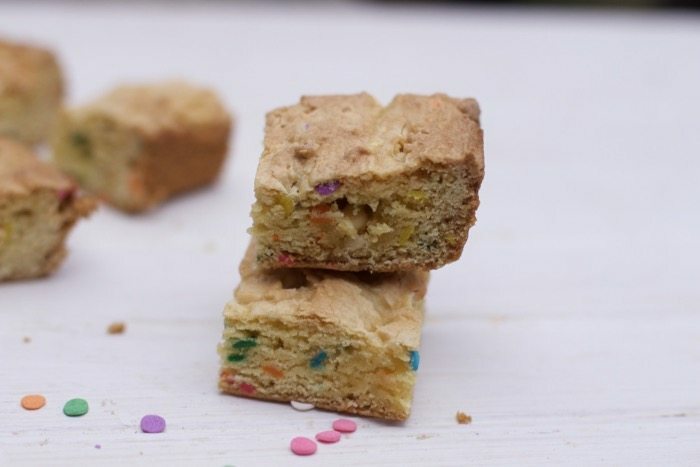 Well, I didn’t either until I found this awesome Sprinkled Cake Mix Blondie Brownie Recipe that is perfect for Easter or springtime. Really there is no good time, any time of year you can enjoy this dense but super easy dessert. 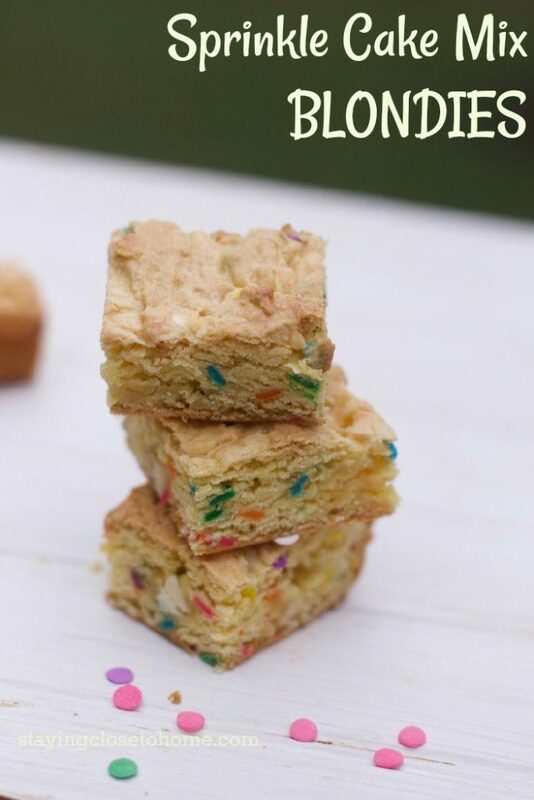 Just switch out the sprinkles for any time of year you wish to bake up a batch of these sweet treats. Don’t be alarmed by the denseness of the batter, trust me these will come out right. I was worried about the small sized pan but it all works out perfectly. 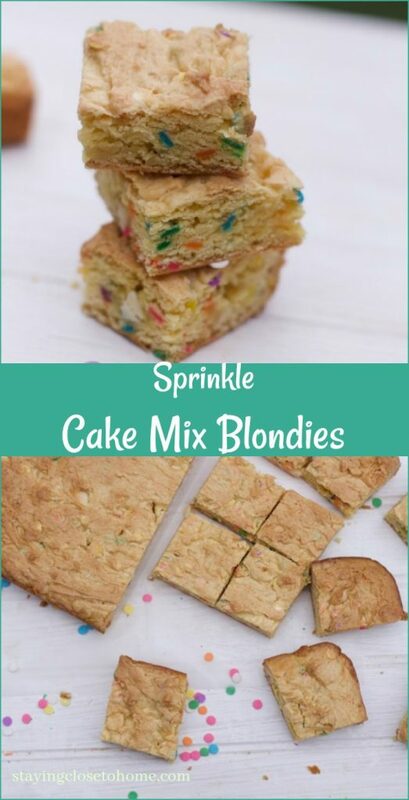 Just evenly incorporate the white chocolate chips and the sprinkles into the batter and you are ready to get baking. You will need to use an offset spatula to spread the batter into your pan but this is the yummy result. Next time you look into your pantry looking for a dessert other than using a brownie mix, these will definitely be crowd pleasers. I served them to a group of 16-year-old teens and they were gone in minutes. Be sure to pin this recipe for your next dessert baking adventure. Combine first four ingredients in a large bowl. Add the milk slowly. 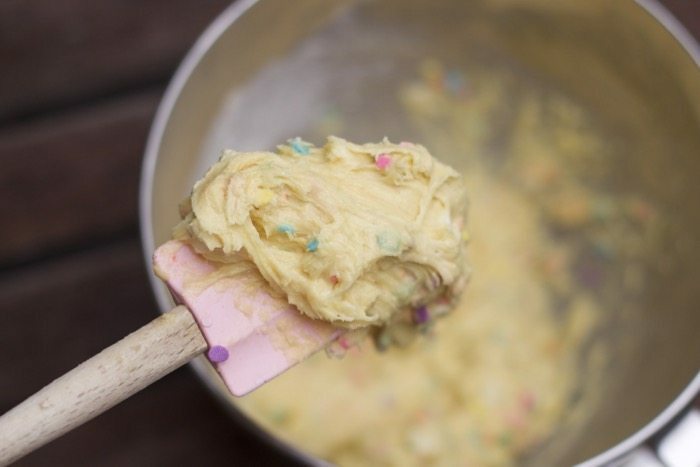 You want to cake batter to be as dense & thick as possible. 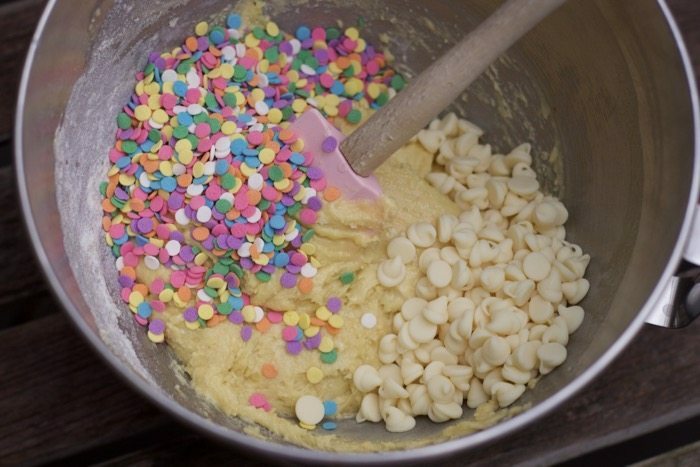 Mix in the sprinkles and white chocolate chips until evenly mixed. Spread Batter using an off set spatula into prepared baking pan and bake for 25-30 minutes until edges are just turning brown. Allow to cool for at least 30 minutes before cutting into squares. Make ahead tip: These blondie brownies can be made ahead and frozen.